Announcing a new a book is always a great feeling for writers (or at least I assume so, they generally seem pretty thrilled about the occasion). So when Robert Venditti announced that he and former JLA writer/artist Bryan Hitch would be launching a new Hawkman series (to go along with the recently released Damage), I thought “Wooo! More exposure for the guy writing GLC!” But Venditti dashed any thought of him writing three DC titles at once, as he announced his departure from Hal Jordan and the Green Lantern Corps via Twitter on Friday. Turning in the script for Hal Jordan and the Green Lantern Corps #48 today, which seems like as good a time as any to say that this is part one of our big, three-part finale. #50 will be my last issue writing the Four Corpsmen. A nice, milestone number to say goodbye. 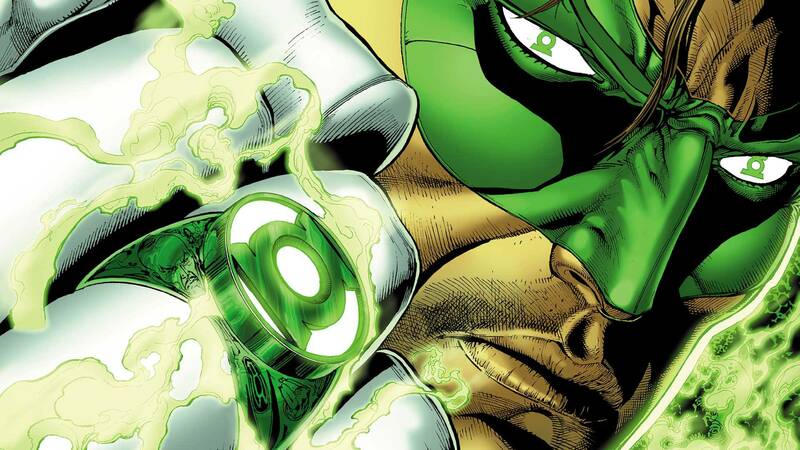 Venditti started his lantern career with issue #21 of volume 4 of Green Lantern following in the footsteps of the widely popular Geoff Johns. According to Venditti, he’s done (including the ten unreleased issues), 85 issues plus annuals. Quite impressive. His run had some ups and downs but never lacked creativity and eventually found the voice for each of the main four Earth lanterns. No word yet on whether artist Rafa Sandoval will be leaving the title as well. A look back at his work in our favorite corner of the universe is to be expected, but for now we’ll just look forward to these final few issues.